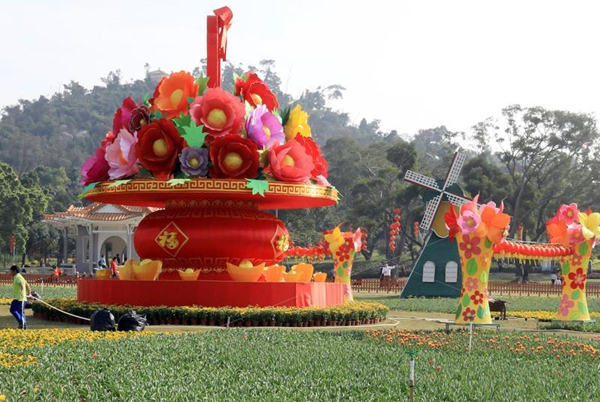 Springtime fun, light shows, folklore, music, circus acts, and magic are on offer as Xiangzhou District presents dynamic Spring Festival holiday experiences. A Feb 5-11 party will invigorate Baisha River Ship Container Street (白沙河街区) adjacent to the Holiday Inn Hotel in Jida. Vendors amid potted flowers and decorations will perch between brightly colored container stores selling handicrafts, tea, coffee, and clothes. The flower market runs from 2:30 to 8:30 pm while culture-legacy performances occur at different times each day. Offered are the creative processes of folk arts with hands-on experiences. Nearby are food and beer stalls. The container street is illuminated in different themes through Feb 20. For example, trees along the Phase II segment are adorned with red lanterns, some full of wishes. Close by is a decorated stage for traditional performances. Tree ornaments in the Phase III area are designed for LED effects. 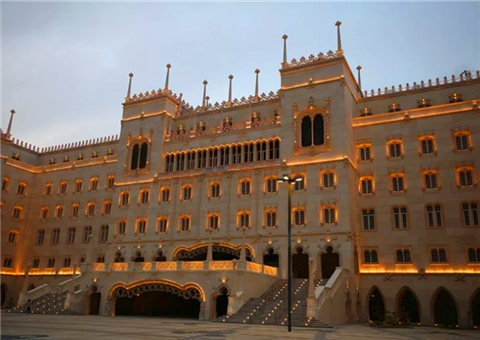 Always worth visiting is New Yuanming Palace at Lanpu off Jiuzhou Avenue. Visitors can participate in activities including pet, magic, and dance shows. A three-month cherry blossom display begins on Feb 5 with other types of flowers such as peonies expected to share attention. 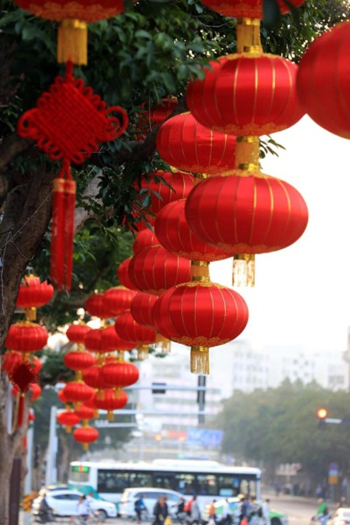 Various folk festival customs will be showcased at the central theater from Feb 5 to 10. Meanwhile, the Meixi Royal Stone Archways near Agricultural Paradise in Qianshan has invited classic folk artists from other parts of the country to a temple fair. Yangko dances, vaudeville, land boat dances, and face changing from Sichuan Opera will take turns delighting audiences. From Feb to 12, Agricultural Paradise will host the sixth Pumpkin Art Festival and initiate an acrobatic presentation by young performers. Scheduled are sports, games, riddles, blessings, a parade, DIY pumpkins, and other events. Furthermore, outdoor music festivals will bring an instrumental ensemble to Meihua Urban Garden on West Meihua Road in New Xiangzhou from 10 to 11 am, Feb 5-7. 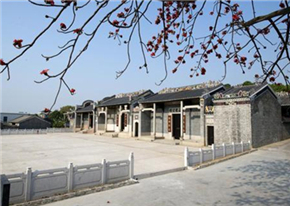 Gongbei and Nanping orchestras will perform traditional Chinese classics 10-11 am on Feb 8, 9, and 10. Four local troupes will play traditional instruments at City Parlor (Haibin Beach) in Jida 4-5 pm, Feb 5-11. 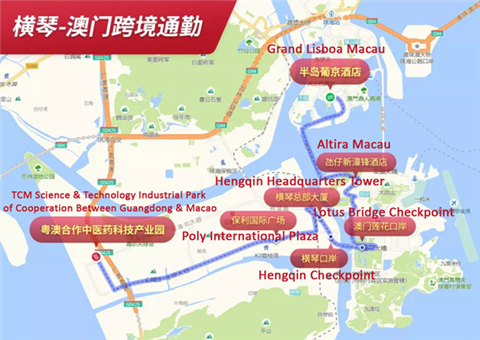 In the meantime, Sea & Sky (Haitian) Rest Station Park, located where East Meihua Road meets North Lovers Avenue at Bayview Villa (Meiliwan) residential area section of Fenghuang (Phoenix) Bay, will present a show of its own on those dates. 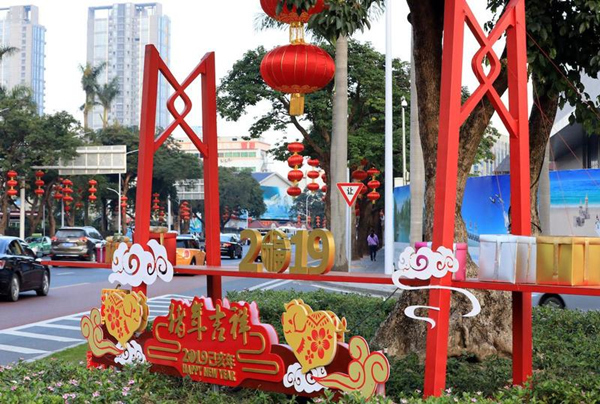 Residents and tourists can celebrate the Chinese New Year at Zhuhai attractions with dolphins, upon or even within the sea, immersed in hot springs or surrounded by flowers. A sojourn to the Doumen District countryside this holiday week will open up a world of family fun, sightseeing, exhibits, delicacies, and cozy B&Bs. Folk customs, countryside leisure activities, parent-child entertainment, and nutrition are on Jinwan District's traditional playbill for Spring Festival.